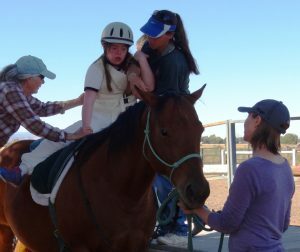 Hippotherapy is a physical, occupational or speech and language therapy treatment strategy that utilizes equine movement. Hippotherapy literally means "treatment with the help of the horse" from the Greek word, "hippos" meaning horse. 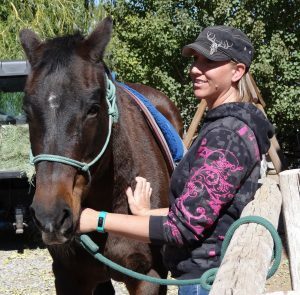 Hippotherapy is the first program that Kathy and Bill Hamm began with in 1999. They utilized this program as a tool to help their daughter Ali reach her full potential. Today, Ali is still a regular participant in the program as are many other kids and adults from around the area. 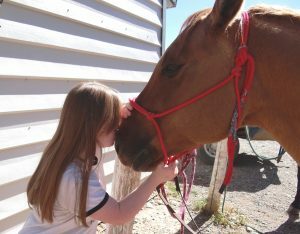 Our Hippotherapy program is designed for children and adults. We usually offer multiple sessions throughout the year, with a break during the winter. To inquire about how to take part in this program please call (970)323-5400 and ask for Kathy Hamm.